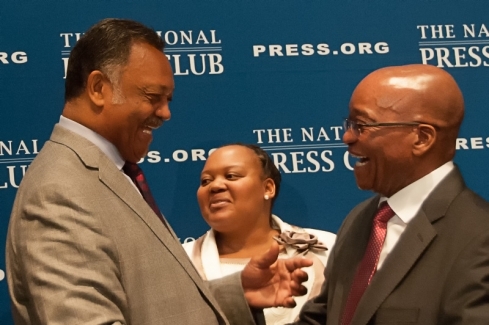 Jacob Zuma, President of the Republic of South Africa, shares a laugh with Jesse Jackson before Zuma's address to the National Press Club. 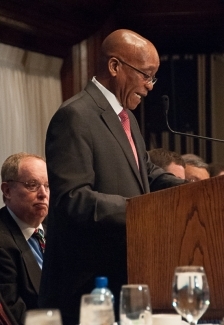 President Jacob Zuma of the Republic of South Africa addresses a National Press Club luncheon. 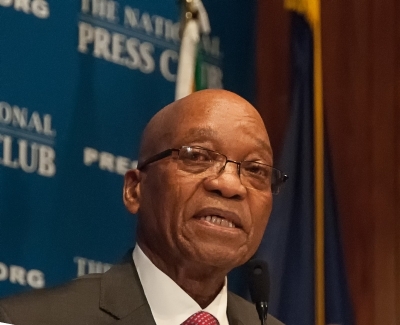 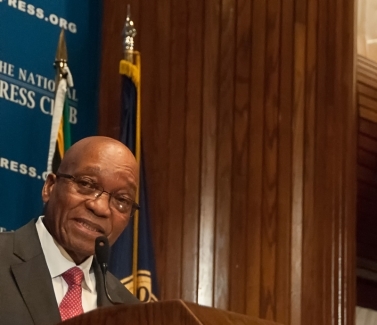 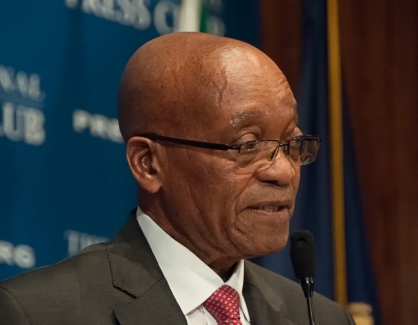 South African President Jacob Zuma speaks at a National Press Club luncheon. 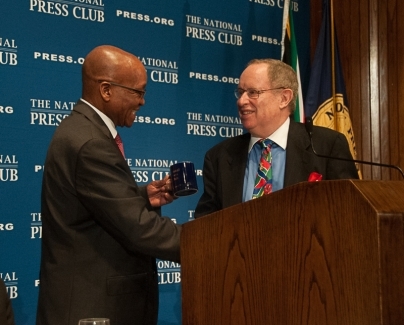 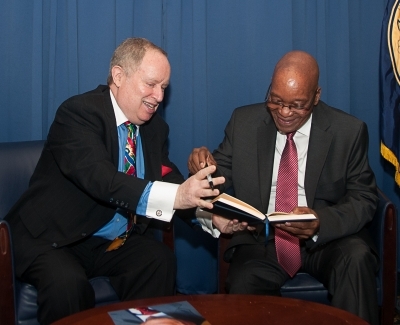 South African President Jacob Zuma accepts the traditional souvenir coffee mug from Club President Myron Belkind following his luncheon address to a National Press Club luncheon.